For instance, let us know if the mapped BrickLink part number is incorrect for any given Rebrickable part number. This also applies to missing or incorrect LEGO Design IDs or Element IDs. Type of external mapping (i.e., BrickLink, LDraw, etc.). Link to Rebrickable part to be updated. For incorrect mappings of LEGO Design IDs and Element IDs, simply state the affected Rebrickable part and what should be changed. I've added the Element IDs for Brown and Green to that part, these were the only missing ones from BrickLink that I could verify that are correct. Edit: added one more for Tan. Added Element IDs for White, Red and Black to 2341. Also check out 18759, there are some additional Element IDs used there. We differentiate between these two molds (Design IDs 2341 and 18579), I guess BrickLink does not. It will then show up like this: 2341. OK, I'll do so, thanks for the hint. Yeah, all the Element IDs we currently have for that part and its alternate molds are listed at 48183 and 90194, where they belong. I found some for 4859 though, I'll add them now. Edit 1: added 13 new Element IDs to 4859. I've only added the highest numbered ones of which I could verify that they are correct (through LEGO's API). Edit 2: merged 90194 with 48183. Reverted, see below. Edit 2: merged 90194 with 48183. Please revert this change, these parts are definitely different molds. If the differences were significant, they should be marked as alternate parts. Looks more like a very slight mold update on the underside than a completely different mold, but alright. Any idea which sets use it? Edit: oh, I see you already took care of it. I moved sets from 2012 to 2014 to the new mold, sets from 2010 to 2011 should be verified via lego.com. Don't you know I'm obsessed with molds? It's a good thing in this case, I'm too eager to remove/merge parts sometimes The fewer parts, the happier I am! what differ 42022px3 from 42022px4? bricklink has them as the same why are they split here? At this writing, the pattern is actually uniquely colored for each of the colors of the part it appears on. 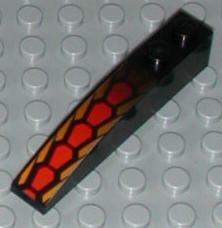 The colors of the pattern remain unspecified in the item name and only the design itself is described. 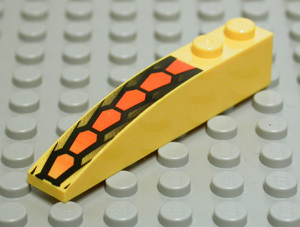 This entry is an example of one way the BrickLink catalog may minimize the number of entries and present very similar items in very close proximity to one another. when we are on the subject when should a printed part referencing another printed part? I think these two is similiar enough to be referenced but where is the line drawn? a printed part is similiar to another printed IF one or more of these are true and it's the same printed part but not necissary the same mold. 1) colour differ in one or more areas but not the pattern. 2) the basic pattern is identical it just add or substract minor changes. 4) fontstyle is diffrent but the Text is the same. Problem is, it has to be automated. You mean you need a better admin tool for it. fully automated process to detect printed similarities is unlikley to be efficent, way more work hours needed to build that machine then it takes for one with a good admin tool to link them manually.